Green Building, the practice of creating structures and using processes that are environmentally responsible, is now a major part of our thinking and attitude at Hamilton Properties Corporation. Three of our newer projects, the completed Adams Park Senior Apartments in Trenton, Mo., as well as newly completed phase two of Lebanon Seniors Apartments in Lebanon, Mo., and the currently under construction Canyon Trails Townhomes in Webb City, Mo., are prime examples of Green Building construction and the use of energy efficient materials and appliances. 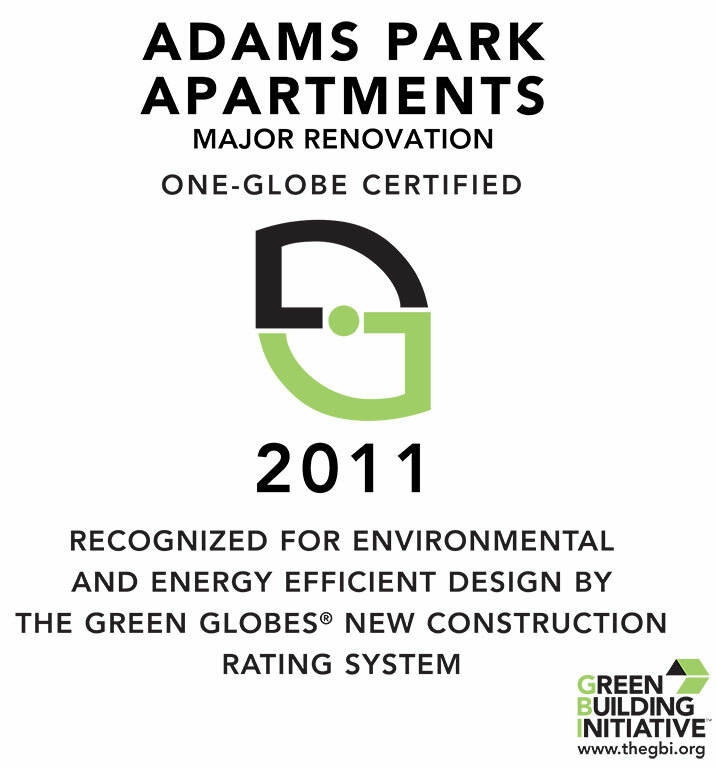 Using these methods, we show not only our concern and respect for the environment, but our determination to create energy efficient and therefore a less expensive lifestyle for our residents. 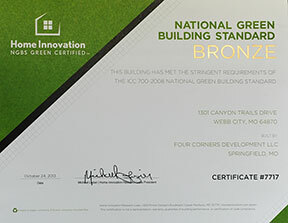 Working with the guidelines and the educational resources of the National Association of Home Builders (HAHB), we are striving to move forward and become a strong force in the Green movement to protect both the environment and to strengthen our commitment to our residents to protect the environment and to provide a better a more economic home operation. 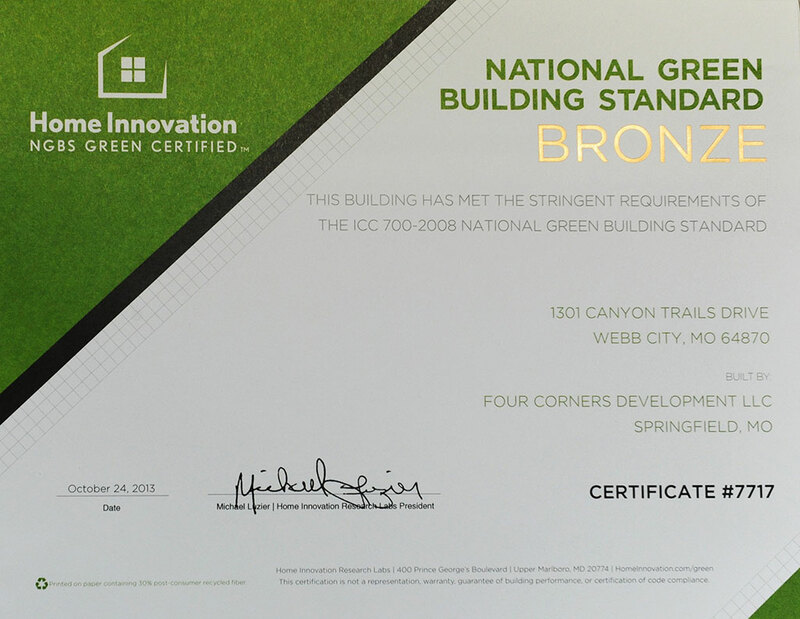 The National Green Building Standard rating system defines green building for single-family homes, low-, mid-, and high-rise multifamily buildings, residential remodeling projects, and site development projects. Certification to the NAHB standard is provided by the NAHB Research Center. To comply with the NAHB standard, a builder or remodeler must incorporate a minimum number of features in the following areas: lot and site development; energy, water, and resource efficiency; indoor environmental quality; and home owner education. Our goal is to continue this practice whenever possible in all of our future construction and revitalization projects in order to provide a much more environmentally friendly and efficient home for our residents. Samples of our Green Building projects. Lower cost to residents through things like ENERGYSTAR appliances, more efficient insulation and a tighter sealed building. Smaller environmental impact due to reduced consumption of energy sources and better use of building materials. Performance improvement because of a more efficient structure and better protection from cold drafts, heat and other factors. Many things such as changing traditional light bulbs to the newer, compact fluorescent bulbs, installing high performance windows for higher thermal performance, utilizing ENERGYSTAR high efficiency appliances, building with highly effective insulation, and properly sealing the building so that no cracks or holes can effect efficiency. We are proud to be using these technologies and building techniques both for the comfort and lifestyle of our residents and so that we can be a major part of protecting our environment. 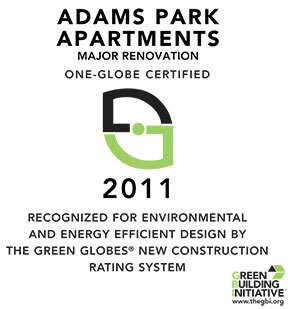 We are also very proud that Hamilton Properties Corporation has succeeded in being recognized for our efforts by being designated a Certified Green Professional.